How does Scott Pruitt, the head of the Environmental Protection Agency, define environmentalism? Since he was sworn in as EPA head in mid-February, he has spoken at length about his views on the environment, saying “true environmentalism” means taking advantage of natural resources, including polluting ones like fossil fuels, rather than prohibiting their use to protect the planet. 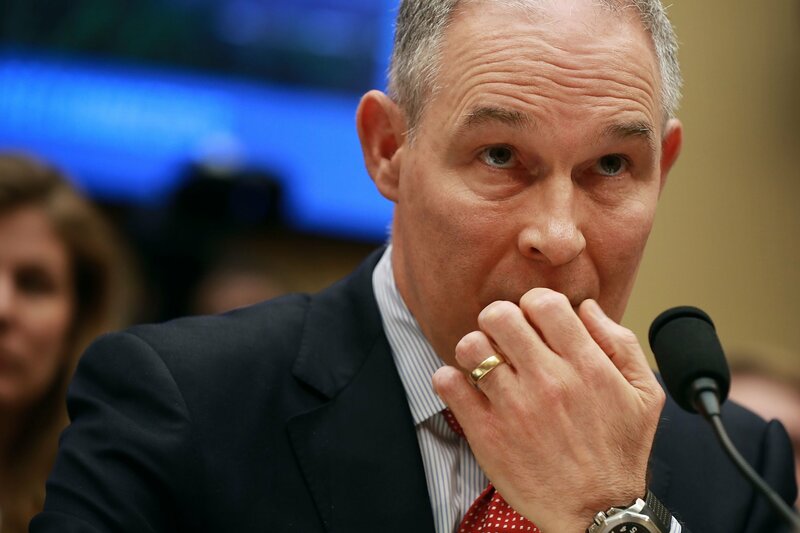 Pruitt calls it “environmental stewardship,” a mindset that angers mainstream environmentalists who believe that fossil fuels should be kept in the ground to curb climate change. The EPA did not respond to multiple requests from Newsweek to further clarify Pruitt's definition of environmental stewardship. A look back at what he has said about the environment in 2017 provides a glimpse at what he means—and his actions underscore how those views play out within the agency. 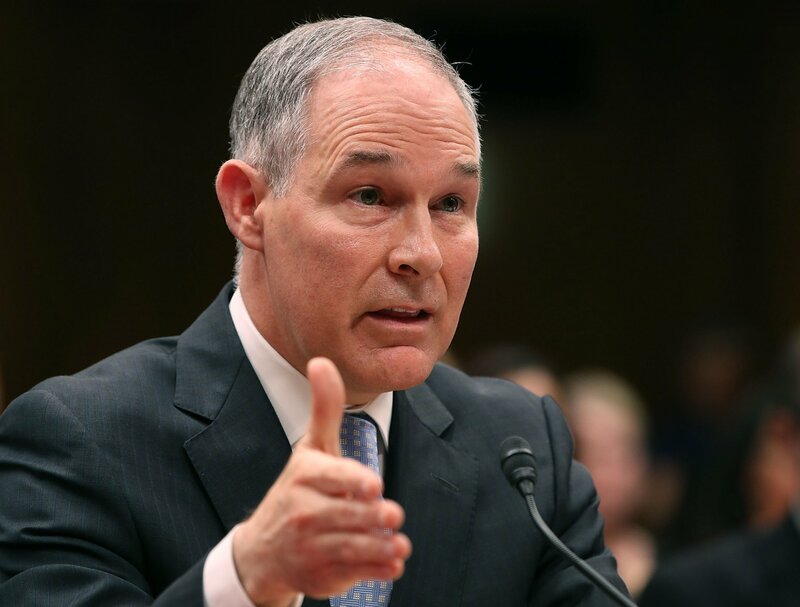 Back in November at an event organized by the Federalist Society, Pruitt said: “I’ve been asking the question lately, what is true environmentalism? What do you consider true environmentalism? And from my perspective, it’s environmental stewardship, not prohibition,” according to The Hill. He’s repeated the phrase time and time again. “We have been blessed, as a country, with tremendous natural resources,” he said, adding that the country has an obligation to feed and power the world for future generations. His comments on "true environmentalism" noted in The Hill on Wednesday were previously stated in an October interview with The Daily Signal, a publication owned by the conservative think tank the Heritage Foundation. "True environmentalism from my perspective is using natural resources that God has blessed us with to feed the world, to power the world with the sensitivity that future generations cultivate, to harvest, to be respectful good stewards, good managers of our natural resources, to bequeath those natural resources for the next generation,” he said. And when it comes to environmental stewardship, Pruitt told The Daily Signal, the U.S. is "better than anybody else." Based on his actions, the natural resources catching the biggest break are those largely responsible for greenhouse gas emissions that cause climate change. Pruitt has launched a back-to-the-basics approach to running the EPA—shrinking the agency's reach and regulations. 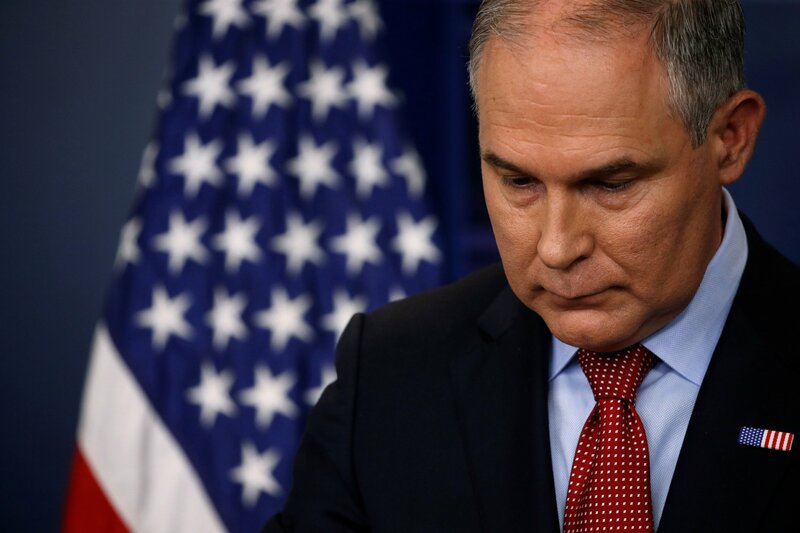 Shortly after taking office, Pruitt canceled a months-old request to nearly 20,000 oil and gas companies to report their methane emissions, The Washington Post reported. He has indicated he wants to end what he has called the "war on coal" by repealing the Clean Power Plan, legislation passed under former President Barack Obama and which the EPA at the time estimated would prevent thousands of deaths, heart attacks and asthma attacks. In an interview with the Washington Post last month, he said that the EPA doesn’t promote renewable energies over fossil fuels because it is “not within the authority of this agency.” That would be improperly picking “winners and losers” in the private sector, he said. The private sector itself has been sorting out winners and losers. Though Pruitt wants to end the alleged war on coal, the natural gas industry largely appears responsible for its decline. Wind and solar energy are also on the rise. The percentage of solar and wind energy of the U.S. electric power sector has increased by 5.3 percent since 2008, reported The Wall Street Journal. Though regulations and subsidies played a role, it’s largely due to how much cheaper other sources of electricity are compared to coal, reported the Journal. Pruitt has also advocated for "fuel diversity” in an interview with Reuters. "We need fuel diversity as far as the generation of electricity because you can only get so much natural gas through the pipelines," he said. "You have to have a solid amount of hydrocarbons—coal stored on site—that allows you to address peak demand." He called it an "all-of-the-above approach," adding that the "EPA should not get in the business of foisting upon the markets decisions to say don't burn fossil fuels." He said that technology and innovation can help countries like China and India burn cleaner coal. 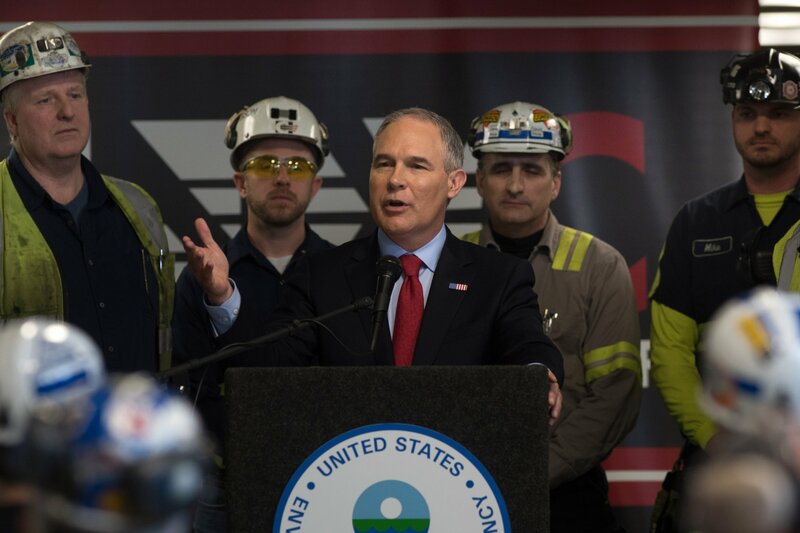 Clean coal, despite Pruitt's claims, is something that even a coal company's CEO, Robert Murray, says won't work—that carbon capture and sequestration is a "pseudonym for 'no coal,'" E&ENews reported. Pruitt also called the Paris climate agreement a "bad business deal for this country at the end of the day." The U.S. is the only country in the world that intends to back out of the Paris agreement, though President Donald Trump cannot formally withdraw until after the 2020 election. 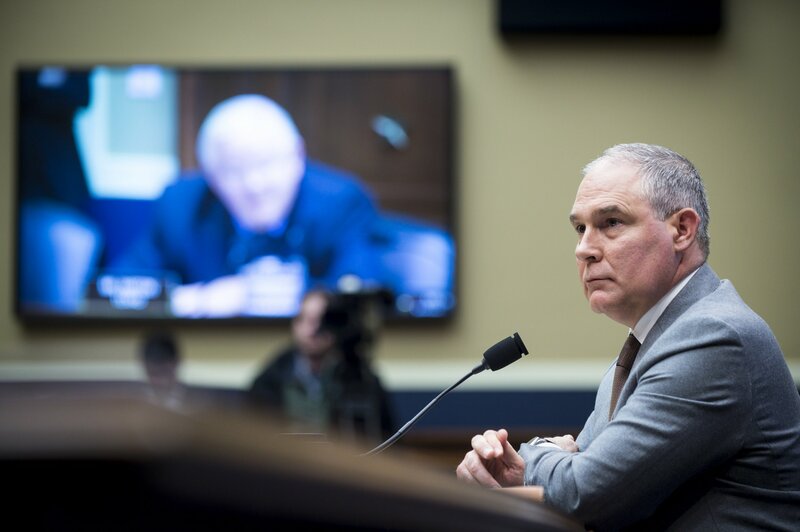 Environmental stewardship for Pruitt includes doubting human activity's role in causing climate change, the looming issue that underlies pollution regulations in the first place. 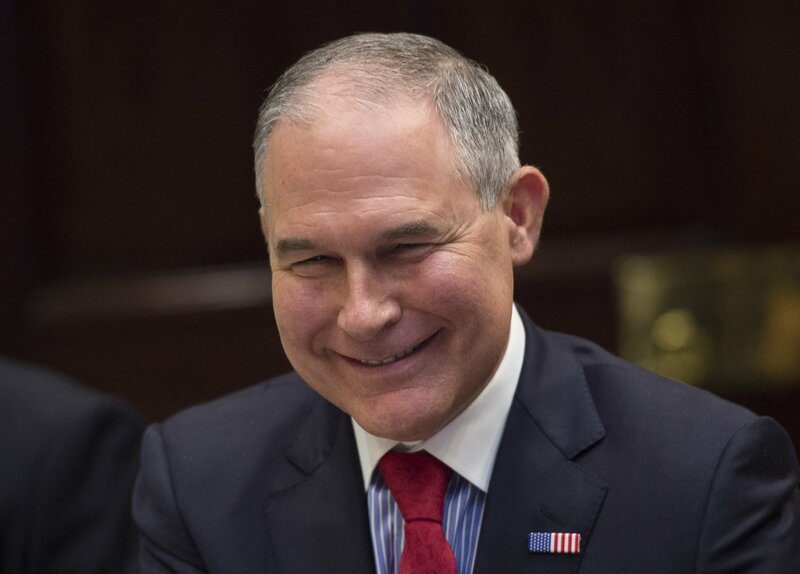 "I think that measuring with precision human activity on the climate is something very challenging to do and there's tremendous disagreement about the degree of impact," Pruitt told CNBC's "Squawk Box" in March. In that same conversation, he expressed doubt about whether carbon dioxide, a major pollutant emitted by burning fossil fuels, is a main cause of climate change. "I would not agree that [carbon dioxide is] a primary contributor to the global warming that we see." That stance is expected to shape how the EPA wants to debate climate science and consensus. The current scientific consensus is that climate change is triggered by human use of fossil fuels. But Pruitt wants to launch what’s dubbed the “red team, blue team” review of climate science at the agency. This approach would invite debate about the extent of human-caused climate change, with one team defending the existing literature on climate science and another that is skeptical, E&E News reported. The approach has its critics, who say a platform such as this elevates views of a few climate skeptics, rather than highlighting the overall consensus. 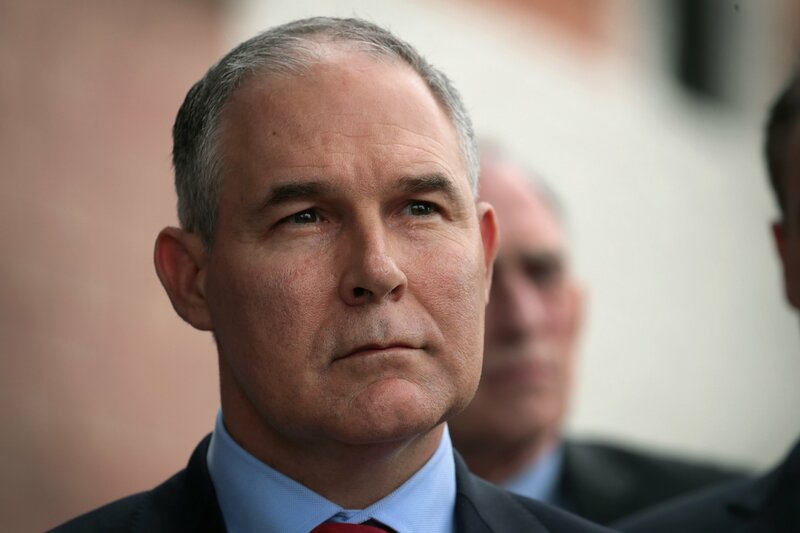 Environmental stewardship, the overarching theme of Pruitt's stance, does have its place, according to Aseem Prakash, the director of Washington University’s Center for Environmental Politics. For instance, The Hill reported, some argue that removing brush from forests to prevent forest fires is difficult under current policies. 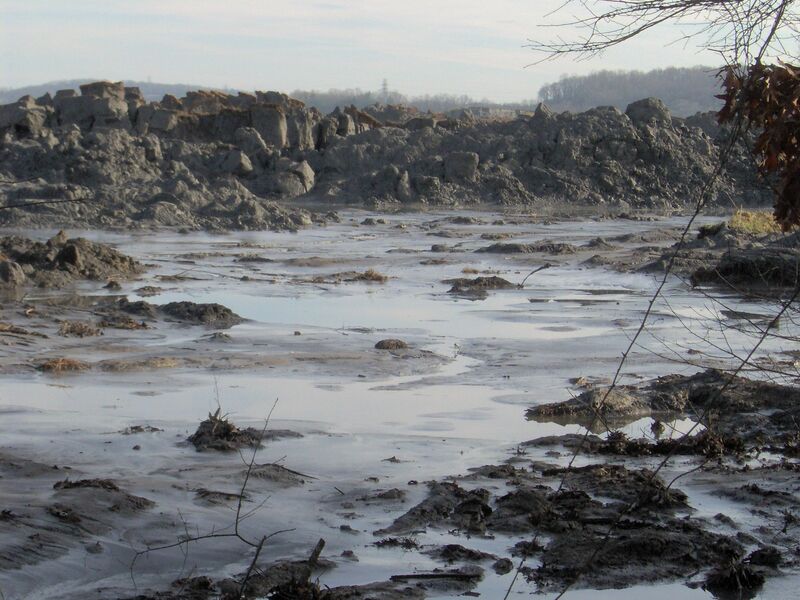 “So in some ways, a puritanical approach to the environment may actually lead to more destruction of the environment, under certain circumstances,” Prakash told The Hill. But that, said Prakash, is an “extremely sympathetic” way to read Pruitt. Rather, he believes that Pruitt is using his viewpoints to gain followers for political purposes. “This is pandering to a political constituency, and using environmentalism and fossil fuels to fuel polarization," Prakash said. Prakash is not alone in his objections. Executive director of the Sierra Club, Michael Brune, has questioned if Pruitt “actually believes this stuff,” according to The Hill. “If he repeats something enough, again and again and again, at least some portion of the public will begin to believe it,” Brune said. Why Did Pruitt Use the Bible to Back Up His Statement?